1. (SBU) Summary. Ambassador Sobel, accompanied by DCM and PolCouns, met 23 August with Civil Household Minister Dilma Rousseff, for an incisive discussion focused heavily on planning for strategic U.S.-Brazil cooperation in bio-fuels. Rousseff, whose position equates to Presidential Chief of Staff for policy, is also a former minister of mines and energy, chairperson of Petrobras’ board, and has overall responsibility in the GOB for interagency coordination on bio-fuels. Rousseff provided an overview of the status of Brazilian R and D in ethanol and bio-diesel, opined that Brazil will have increased capacity for ethanol exports as demand expands, and focused on Brazil’s interest in working with the U.S. to use the new technologies for development and poverty-alleviation in third countries. On this point, she noted that President Lula had raised with a receptive Bolivian President Evo Morales the possibility of coca crop substitution with bio-fuel projects, and that the GOB remains interested in discussing USG-GOB collaboration on a specific proposal for Bolivia. Ambassador and Rousseff also discussed high-level cooperation in law enforcement and new initiatives to stimulate investment in Brazil. End summary. 2. (SBU) Ambassador Sobel explained that formulation of a U.S. national strategy on bio-fuels is at a relatively early stage, and decisions are now being made on interagency organization and leadership on the issue. He said the USG recognizes already, however, that the bio-fuel technology is transformational, and has strategic implications, especially in development programs in energy-poor third countries. The U.S. will be seeking cooperation in multi-lateral fora, but is now keenly focused on bilateral partnerships, and cooperation with Brazil is seen as a top U.S. priority, he said. The Ambassador said the USG is eager to engage with the GOB on both strategic planning and technical cooperation, and offered future meetings of U.S. officials with Brazilian counterparts. He said he would be taking Rousseff’s comments with him for policy discussions in Washington in coming days, and Rousseff and Ambassador agreed that he would brief her upon his return to Brazil. 3. (SBU) Rousseff confirmed the GOB is extremely interested in cooperation with the U.S., and noted she was present at the St. Petersburg G-8 bilateral between Presidents Lula and Bush where Lula provided President Bush an information package on bio-fuels. Rousseff said that she warmly welcomes high-level engagement with USG counterparts, noting that she has overall interagency management responsibility for the issue. Rousseff said she coordinates work of several GOB ministries, including Industry, Agriculture, Mines and Energy, Science and Technology. 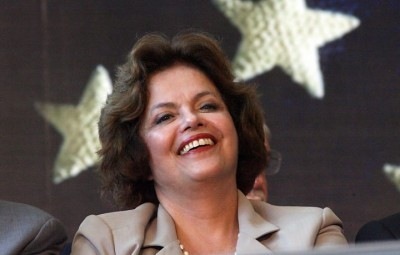 and External Relations; She also chairs the board of Petrobras, the country’s petroleum sector parastatal. 4. (SBU) Rousseff said Brazil’s strategic vision centers on the premise that bio-fuels are, indeed, transformational, that "we are only in the first generation of a technology that will eventually form a new sector of the economy." She said Brazilian research, development and policy planning proceeds at present mainly on two axes: one for bio-ethanol, the other for bio-diesel, including Brazil’s evolving "H-bio" fuel (though Brazil is also investing heavily in R/D in cellulosic materials, she noted). 5. (SBU) In ethanol, Brazil uses its well-developed industrial base, its wide distribution of ethanol at gas stations, and its rapidly expanding fleet of cars with flex-fuel engines to create a model where market circumstances work to the country’s benefit. When ethanol prices rise, Brazil increases exports and domestic consumers opt for gas. When global gas prices go up, Brazilian consumers fall back on ethanol or blends. The GOB maintains ethanol stocks and regulates a small percentage of production, but mostly relies on natural market dynamics, she added. Ambassador asked whether Brazil can increase its ethanol production to meet expanding export potential. Rousseff said ample capacity for new agriculture and successful development by Brazilian researchers of new sugar cane hybrids that can grow in vast areas of Brazil previously unsuitable for the crop (e.g., plantations in southern Brazil) make the GOB optimistic about increasing its ethanol production dramatically in coming years. 6. (SBU) In the area of bio-diesel fuels, Rousseff says Brazil’s program is only three years old, but already bio-diesel is being offered at 4,000 gas stations nationwide. She also sees high potential for use of the technology for social development, both within Brazil and abroad. In Brazil’s case, small family farms are already important contributors in the process, with Petrobras and others obligated to buy material that is certified by the GOB to have a substantial input from small farmers. In the case of Petrobras’ developing new H-bio fuel (which, unlike bio-diesel mix, is a refined product), both industrial and small farm sources will be needed, she added. In the area of H-bio, Rousseff looks for substantial U.S.-Brazil collaboration, in light of the large number of U.S. refineries suitable for the process, and the advanced capabilities of U.S. bio-chemical research labs. 7. (SBU) Focusing further on use of bio-fuels in third country development and poverty alleviation, Ambassador shared with Rousseff a chart showing the extremely high levels of GDP expended on energy by many poor countries. Rousseff opined that the Caribbean and Central America seem most likely to benefit from ethanol production, at least in the early stage, while bio-diesel technologies could offer the most immediate promise in Africa and other areas. She reiterated that Brazil shares with the U.S. the desire to see the new technologies incorporated into development and foreign assistance policies, and wants to work together with the USG on such projects. 8. (SBU) Ambassador asked Rousseff specifically about an idea she had discussed in a meeting earlier in the year with WHA A/S Tom Shannon, in which Rousseff proposed U.S.-Brazil collaboration in offering bio-fuel capacity and guaranteed U.S. and Brazilian markets to Bolivia as a substitution commodity for coca planted in the Chapare region. Rousseff indicated that President Lula has since raised the general possibility of bio-fuel substitution for coca crops directly on two occasions with Bolivian President Evo Morales, who appeared receptive and requested a specific proposal. Ambassador indicated there is interest within the USG in this concept, and undertook to discuss a way ahead with Washington agencies and report back to Rousseff. 9. (SBU) Continuing on the issues of narcotics and crime, Ambassador noted his recent meetings with Justice Minister Bastos and with senior state officials in Sao Paulo and Rio, in which USG assistance in dealing with Brazil’s organized crime crisis and narcotics problem was warmly welcomed. Rousseff concurred emphatically, saying "we need your help now, this cannot wait until after our elections." (Note: Brazil has general elections in October. End note.) Ambassador specifically offered U.S. information on "lessons learned" in investigation of organized crime groups within the prison system, which Rousseff agreed is of urgent relevance to Brazil in confronting the PCC organized crime groups violent attacks in Sao Paulo. Rousseff echoed Justice Minister Bastos’ receptivity to visits to Brazil by the U.S. Attorney General and DEA Administrator, and committed to use her office to assure "top-down" momentum for enhanced bilateral strategic cooperation on law enforcement. 10. (SBU) In closing, Ambassador underscored his strong interest in bringing increased and socially responsible U.S. investment to Brazil, and offered to bring investor groups and the Council on Competitiveness to Brazil for meetings with Rousseff and GOB and industry leaders. Rousseff said she would enthusiastically work with the Embassy on this, and warmly welcomed the fact that the United States "has an energetic Ambassador" in Brasilia. 11. (SBU) Comment. This initial meeting between Ambassador and Rousseff was warm, positively-charged and substantively dense. We have in Rousseff, we believe, an enthusiastic and highly influential senior GOB interlocutor on these key issues, and we intend to cultivate our relationship with her. If Lula wins re-election, we think it likely she will continue in her current post, and in the event of a Lula victory in October, it would be highly productive to arrange a visit soon thereafter to Washington for Rousseff for top-level consultations.